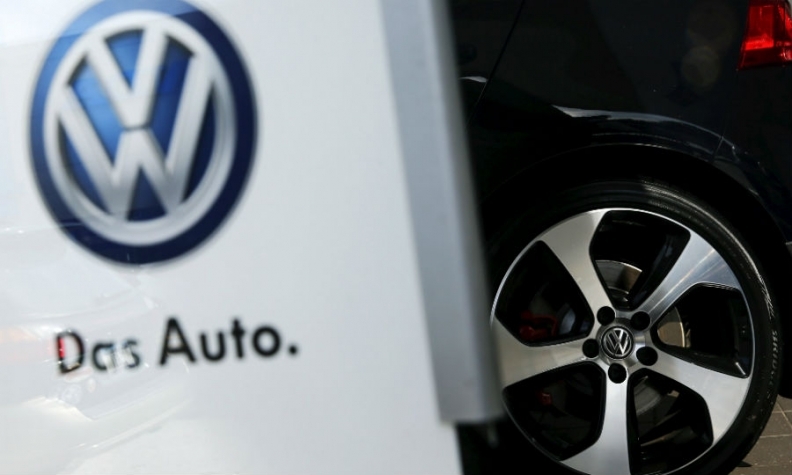 FRANKFURT (Reuters) -- Volkswagen's software used to cheat emissions tests was switched on in diesel vehicles in Europe, German daily Sueddeutsche Zeitung reported today. VW admitted last month to cheating U.S. emissions tests and has since said about 11 million cars worldwide had the software installed. But the company has stopped short of saying whether the software was switched on in vehicles outside the United States. The newspaper cited Volkswagen as saying the carmaker now knows that the software recognizes test procedures both in the U.S. and in Europe. "We are working intensely on technical solutions," a VW spokesman said in response to the report. "For that reason, questions posed at this point of time are speculative." Volkswagen said it is still examining whether and to what extent its cheating software installed in European vehicles manipulates emissions, and added that it is still unclear whether the emissions-control software is illegal under European rules. VW has told German lawmakers that 8 million diesel vehicles in the European Union were fitted with software capable of cheating vehicle emissions tests. Germany's transport minister said on Wednesday that authorities were examining whether to make additional demands of Volkswagen after it submitted its plans to fix the diesel engines. Speaking in Berlin, Alexander Dobrindt told reporters that VW had made clear in a "comprehensive report" sent to Germany's Federal Motor Transport Authority (KBA) that Euro 5 diesel engines in the 2.0-, 1.6- and 1.2-liter category would require adjustments. "For the 2.0-liter engines, VW is saying that a software solution will be ready this year and will then be implemented from the start of next year," Dobrindt said. "With the 1.6-liter engines, in addition to new software, engine changes will be necessary, which according to Volkswagen won't be ready before September 2016." He said the KBA would decide soon on whether it had additional questions or demands for Volkswagen. VW plans to launch a recall in Europe starting in January and will complete the fix by the end of next year, CEO Matthias Mueller told the Frankfurter Allgemeine Zeitung. Most cars probably only need software reprogramming that can be done at a local service outlet, though some will need new injector systems or some rebuilding at special workshops to install larger catalytic converters, Mueller said. Replacing cars will be considered in "particular cases," he told the newspaper. The 11 million vehicles with engines that carry the software capable of cheating emissions tests include 5 million at VW brand, 2.1 million at Audi, 1.2 million at Skoda, 700,000 at Seat and 1.8 million light commercial vehicles.